There’s always a risk when a couple gets married – a common statistic people have cited is that when you get married, there’s a 50 percent chance you’ll get divorced. However, recent data points to changing times and changing attitudes towards marriage. 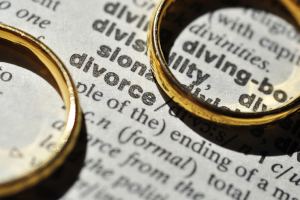 According to a new study, divorce rates have plummeted - thanks in large part to Millennials. A study by Maryland sociology professor Philip Cohen, who analyzed U.S. Census data from about 3.5 million households, shows that the divorce rate in America has plummeted 18 percent from 2008 to 2016. He credits Millennial women with the decline, as on average, they have waited past the age of 25 to marry, and are more likely to have already earned a Bachelor’s degree by the time they tie the knot. The study also found that people ages 35 to 44 – Generation X included - were also less likely to divorce now than they were in 2008. Many millennials and Generation Xer’s grew up as children of divorce, and therefore have been more cautious about commitment. They waited longer to get married than previous generations, putting their educational and career opportunities first. The study shows that this seems to make a difference in how well their marriages fare. Millennials want more stability in their careers and finances before they settle down, and they don’t feel the need to rush into marriage. The marriage rate has declined among Millennials as well, with many couples choosing to live together and raise children outside of marriage, which also accounts for some of the declining rates of divorce. Andrew Cherlin, a sociology professor at Johns Hopkins University, told The Atlantic that there is a notable difference in marriage rates depending on women’s education levels. He maintains that women with college degrees tend to get married at higher rates than women without them. Also, women with a higher education have the financial independence to postpone marriage until they are confident they’ve found the right partner and that it will work. This new data stands in contrast to information on the marriage success of the Baby Boomer generation. They tended to marry younger and have a much higher divorce rate, even well into their retirement years, according to Fortune Magazine. In fact, the divorce rate tripled for people over age 65 between 1990 and 2015.